Anchor: The National Assembly is in uproar after three main opposition lawmakers alleged that the North Korean military could have been involved in inciting the 1980 Gwangju Democracy Movement. The comments, made last week backfired, with all other parties seeking to reprimand the lawmakers. The four parties filed a complaint with the parliamentary ethics committee. It was last Friday when Representatives Kim Jin-tae, Lee Jong-myeong and Kim Soon-rye of the Liberty Korea Party made disparaging remarks about the 1980 May 18th Gwangju Democracy Movement. Inviting a controversial rightist social commentator Jee Man-won to a public hearing, the main opposition party lawmakers discussed the possible involvement of North Korea in the massive public protest. 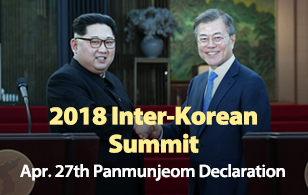 While alleging that North Korean soldiers could have systematically incited the protesters in the southwestern city, ex-president Chun Doo-hwan was referred to as a hero for his crackdown. Those who were recognized for their contribution to the May uprising were called a "monster group" during the event. During the violent crackdown, more than 600 people are estimated to have been killed while many were beaten or even raped as Gwangju citizens took up arms from state armories and police stations. The Supreme Court has already ruled against allegations that North Korean special forces were involved in the democracy movement. Activists disrupted the hearing, condemning the rightist politicians. The ruling Democratic Party(DP), the minor opposition Bareunmirae Party, the Party for Democracy and Peace and the Justice Party agreed on Monday to file a complaint against the three lawmakers to the parliamentary ethics committee. Following a meeting of party floor leaders, DP floor leader Hong Young-pyo said the four parties were united in pushing to expel the three lawmakers from the National Assembly. The parties said the lawmakers repudiated history and challenged the Korean people who fought for democracy with their controversial remarks. In a statement on Monday, DP Chairperson Lee Hae-chan, who's visiting the U.S. this week, formally requested that the LKP apologize to the public and take disciplinary action including expulsion from the party. The party also said it will look into seeking criminal punishment for the lawmakers. 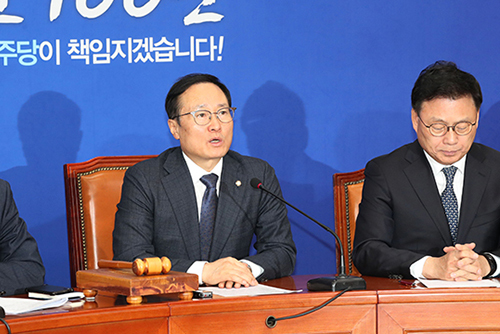 Bareunmirae Party leader Sohn Hak-kyu said the parliament and the Korean people cannot let the lawmakers' derogation of history pass, adding they should face disciplinary action through the ethics committee. The Party for Democracy and Peace has formed a special committee to handle the situation. It plans to file a defamation lawsuit against the lawmakers. The Justice Party also urged the LKP to join efforts to expel the lawmakers from the party and the parliament. Ahead of its leadership election later this month, LKP leaders highlighted that the remarks don't reflect the party's position. While saying that the lawmakers shouldn't have acted in a way that would burden the party, LKP interim leader Kim Byong-jun said any decision on disciplinary action will be made internally by the party. Two of the three lawmakers denied Monday that their intent was to disparage or defame those who took part in the democracy movement.